Information for this post is sourced from Genworth Financial, and all opinions are mine. For many of us, thinking about retirement is not something we really want to do. I think one of the reasons for this is that it makes us face the reality of our aging and mortality. Some of the other reasons you may hear or think yourself are, “I am too busy”, “It is too soon”, “I cannot afford it” and “That is what social security is for”. Well, none of those are reasons, but rather are excuses that can literally ruin your golden years. If you do not plan for your retirement with a professional financial planner, you could be in a financial mess when you are ready to retire. Instead of putting our heads in the sand and crossing our fingers, we need to be proactive and get planning for our financial security after we turn 72. With the experts at Genworth Financial, they can walk you through every step of the retirement process so you have no financial worries then. So if you are looking for a way to get guaranteed income for life, there are a few things you can do. One is to work longer than the average retirement age of 65 and extend it to the age of 72. We are living healthier lives and are able to work longer, so this is not an issue for many of us. According to an article written for Yahoo! Finance by Jocelyn Black Hodes, entitled “Guaranteed Income–for Life“, she talks about annuities as a solid option. Hodes explains an annuity should be added to your retirement plan and many experts are encouraging us to look into this. If you are unfamiliar, an annuity is a contract you go into with an insurance agency that will provide you with income for a specified time in exchanged for an investment or payments. She further explains there are three main types of annuities: fixed, indexed, and variable depending on your income needs and when you need them. You can choose an annuity that begins paying income ASAP, or a deferred annuity, which gives you the ability to grow your investment account and income potential. Basically, if you are retiring very soon, the immediate annuity is the way to go but if you have time, the other options are best for you. Another good thing about annuities is many come with a death benefit, so if you should pass away, your spouse and/or other beneficiaries will be taken care of. Some annuities can offer living benefits which protect your account from losing value, allows large withdrawals with no penalty as well as guaranteeing your minimum payment. Just be sure to read the fine print because the more perks you get, the more you will be paying and this can reduce the long term benefits you would receive. Because annuities can be sold so agents can make a big commission up front, you want to seek advice from a solid firm. 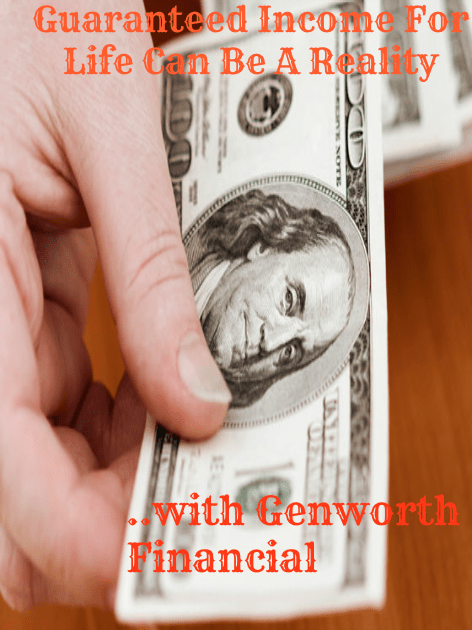 The people at Genworth Financial have your best interests at heart and are not lining their own pockets at your expense. They want to protect you and your loved ones and have the knowledge and expertise to make sure you are. Be sure to follow Genworth Financial on Facebook to stay current with the latest financial updates. saved as a favorite to look at new things on your site.